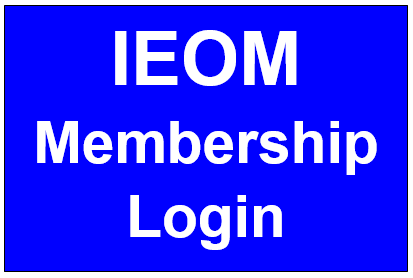 IEOM Society Membership is open to individuals who has education or experience in the areas of industrial engineering, manufacturing engineering, systems engineering, operations research, engineering management, operations management, decision sciences, engineering education, mathematics, computing, engineering and technology in general and related fields. Please join a diverse professional group in the area of industrial engineering and operations management. Any corporation, university, college, institution or organization can be a partner member. Their names and logos will be added in the IEOM Society website, quarterly newsletters, conference program booklets and proceedings. Special discounts will be also provided for the IEOM events. Please contact info@ieomsociety.org for details. IEOM® and IEOM logo are registered with the U.S. Patent and Trademark Office (USPTO) as the trademarks of the IEOM Society.